The Red Sox improved to 7-13-1 in Grapefruit League play on Saturday afternoon following a 6-1 victory over the Atlanta Braves at JetBlue Park, marking their first win since March 5th. After tossing three innings in a minor league contest this past Monday, Chris Sale finally made his 2019 Grapefruit League debut in this one. With a pitch limit set at no more than 65, the ace left-hander held Atlanta scoreless while scattering two hits and striking out seven, five of which came consecutively, in four quality frames of work. He did not walk a single batter. Finishing with a final pitch count of exactly 50 before heading out to finish his day in the Red Sox bullpen, Sale topped out at 93 MPH with his fastball and also mixed in a fair amount of changeups and sliders. 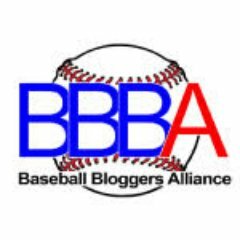 From the beginning of the fifth inning on, we got a significant glimpse at what could potentially be the back-end of the Red Sox bullpen in 2019, as Matt Barnes, Ryan Brasier, Tyler Thornburg, and Darwinzon Hernandez combined to surrender only one run on five hits, one walk, and five strikeouts over the final five innings on Saturday. Like Sale, Brasier also made his 2019 Grapefruit League debut against the Braves. Previously dealing with a toe infection earlier in the spring, the 2018 standout reliever struck out one while also allowing that lone Atlanta run to cross the plate in their half of the sixth. Thornburg, meanwhile, finally put together his first shutout performance of the year, as he retired three of the four hitters he faced in a solid seventh inning of relief. On the other side of things, the Red Sox lineup was matched up against Braves number-two prospect Kyle Wright to start things off on Saturday. As he typically does, Mookie Betts got the scoring started for Boston by lacing a one out first inning single off Wright. One Mitch Moreland double later, and JD Martinez collected his first RBI of the spring on a sac-fly to right. That plated Betts and advanced Moreland to third, who would then come around to score himself on an RBI double off the bat of Xander Bogaerts to give the Red Sox an early two-run advantage. Fast forward all the way to the sixth, and Betts struck again by blasting his first home run of the year off Braves reliever Shane Carle, a monumental solo shot over the JetBlue Park Green Monster. An inning later, Brock Holt would turn out to be the catalyst of a three-run frame for Boston by drawing a leadoff walk off Luke Jackson. Two back-to-back RBI doubles from Eduardo Nunez and Jackie Bradley Jr. later, the Red sox found themselves up 5-1. After stealing third, Bradley would come in to score on a Chad De La Guerra sacrifice fly, which would plate the club’s sixth and final run of the day, as 6-1 would go on to be your final score in this one. Eduardo Nunez had himself a nice day at the plate with that RBI double. He also flashed the leather at third on a hard-hit ground ball from Adam Duvall in the fourth inning. Darwinzon Hernandez, who was responsible for the final two innings on Saturday, briefly received a visit from Alex Cora and a trainer in the eighth, but remained in the game to close things out. In his third game back, Dustin Pedroia went 0/3 out of the leadoff spot. He started the first five innings at second base. Next up for the Red Sox, it will be some split-squad action against both the Tampa Bay Rays and Pittsburgh Pirates on Sunday. One group will remain in Fort Myers to host the Rays with David Price slated to start, while the other group will head to Bradenton to face the Pirates, with Marcus Walden getting the start there. Right-hander Jameson Taillon is listed as Sunday’s starter for Pittsburgh, while Tampa Bay will be going with lefty Ryan Merritt. First pitch for both contests is scheduled for 1:05 PM EDT. NESN has the Rays game covered. The Red Sox will host the Minnesota Twins in a Grapefruit League matchup on Sunday afternoon. 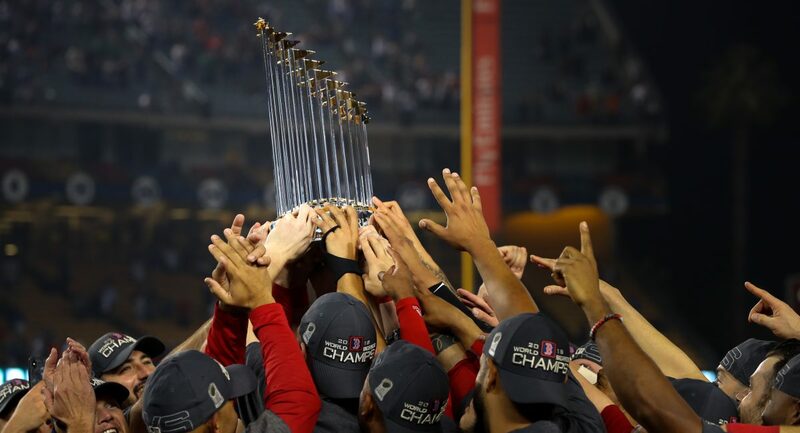 Two games into spring training, one against the Northeastern Huskies baseball team and one against the New York Yankees, we have yet to see many of the regulars who were consistently in Boston’s lineup during their 2018 World Series run. That will all change tomorrow at JetBlue Park. According to MassLive.com’s Chris Cotillo, Sunday’s starting infield will consist of Rafael Devers at third, Xander Bogaerts at short, Brock Holt at second, and Sam Travis at first. In the outfield, it will be Andrew Benintendi, Jackie Bradley Jr., and Cole Sturgeon from left to right while Christian Vazquez will catch Ryan Weber to start things off and Eduardo Nunez will serve as the designated hitter. Meanwhile, reigning American League MVP Mookie Betts will make his 2019 spring debut on Wednesday against either the Baltimore Orioles or Tampa Bay Rays in some split-squad action. This is just a guess, but I would assume Betts’ debut will come against the Orioles since that game will be taking place at JetBlue Park. Anyway, first pitch against the Twins on Sunday is scheduled for 1:05 ET. Martin Perez vs. Ryan Weber is the starting pitching matchup.